When disaster strikes, you can count on Sante Property Damage Reconstruction! If you have a structure that has experienced fire or storm damage, mold issues, or flooding, we can help fast. Our expert property reconstruction in Ellington has over three decades of experience. Deeply rooted in the community, we care about local homes and commercial properties. Our disaster reconstruction teams are available any time, day or night. Licensed and insured, Sante offers free estimates to our property damage reconstruction clients. Our customer service keeps you updated and informed. Working with you homeowner’s insurance, we can keep costs down. Our reconstruction process is tailored to your needs and budget. Are you in an emergency situation? We offer 24/7 service to our customers. Call us now to find out what a difference professional damage reconstruction makes! Sadly, the unexpected can happen to anyone. Property damage from fire, mold, and water can lead to long term consequences. 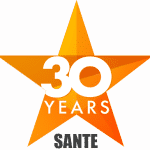 At Sante, we are a comprehensive solution that prevents future liability. If you have fire damage, you may also have water damage. We look at the entire reconstruction process to give you the best results. 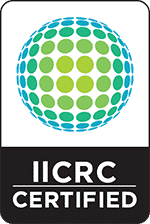 Our disaster reconstruction technicians are trained and experienced. We can identify mold, eliminate moisture and odor, and stop smoke and soot damage. Friendly and fast, our customer service makes your property damage reconstruction a priority. Let us help you begin the disaster rehab process on the right foot with our professional damage repair. Do you have a fire damaged property? Let us handle the reconstruction process. Our stages of property fire reconstruction includes everything from securing the property to sanitizing it. When you have experienced fire damage, it is time to call in the professional fire damage property reconstruction team. We work with homeowner’s and insurance companies to manage costs. Our budget friendly solutions are top rated for quality and craftsmanship. Whether you have home fire damage or a commercial property, we can handle it. Don’t hesitate to give us a call any time, day or night. Our service for fire damaged property reconstruction is available 24/7. Flooding, moisture, and water damage can be devastating to homes and businesses. Our professional water damage repairs completely resolve the problem. If you are dealing with odors, humidity, and more, we can help. Our trained technicians are licensed and insured. Whether you are facing flooding in the basement, natural water damage or plumbing leaks, we have the skill and equipment to handle it. We will prevent long term issues like mold growth and bacteria. Without help, these can lead to serious health risks for homes and commercial properties. Water damage reconstruction does not have to be a disaster. Contact us for a free estimate and 24/7 service! Serving Ellington, Connecticut, our mold elimination services are the best in the industry. Our skilled mold technicians identify and eliminate mold. If you have a home with mold or a commercial property, Sante can help now. Licensed and insured, we can protect you from liability. We get between you and the insurance company to help get costs covered. Our mold elimination services are top rated. We are called in after untrained handymen have been through the property. Usually, the mold has returned along with odor. Finding the source of moisture and humidity, we stop mold growth at the root! Severe storm damage can strike at any time. Our storm damage repair services are licensed and insured. Working with insurance companies, we can keep costs low. Experts in severe weather reconstruction, we are with you from start to finish. Downed trees, damage to the exterior or interior, and flooding are no match for us. We have 30 years of experience serving the Ellington area. Are you in an emergency? We can get to you fast to secure the property with board ups and provide a free estimate. Don’t hesitate to call us at any time for fast and friendly service. Commercial property reconstruction is one of our most requested repair services. Let’s get down to business. Sante Property Damage Reconstruction is licensed and insured. We have over 30 years of experience with property damage repairs. Invested in our equipment and tools, we keep labor costs low. Our licensed reconstruction technicians provide friendly and fast service. If you need commercial property reconstruction, we are a professional and experience solution. Offering clients free estimates, we also have 24/7 property damage repair services. Contact us any time, day or night for commercial property reconstruction. Do you need a general contractor? Our Ellington general contracting solutions are top rated by our clients. We cover the labor, materials, and equipment to keep costs comprehensive. Sante Property Reconstruction provide free estimates for our clients. Tailored to you, our general contracting services keep your timeline and budget in mind. We work with insurance companies. From start to finish, we are 100% on your side. Give us a call today and discover what a difference a professional general contractor can make for your budget and project. Serving Ellington, Connecticut for over 30 years, we are your property damage reconstruction team. You can count on our licensed and insured property repairs. Offering our disaster reconstruction clients free estimates, we can get to you fast. We have 24/7 emergency repair services available. Give our fast and friendly customer service a call today to find out the difference Sante Property Reconstruction makes in any project! Does your Ellington Home or Business have Damage?